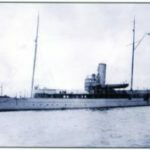 An exhibition on the Iolaire tragedy is to be held in Sandwick Community Hall – the hall nearest to the site of the disaster – and will be formally opened on Thursday December 6 at 6pm. The exhibition is being put together by Stornoway Historical Society and will be on display in the upstairs rooms through the months of December, January and February. It will be open three days a week – Tuesdays, Thursdays and Saturdays – and although it will shut for Christmas, it will be open on New Year’s Day, the 100th anniversary of the disaster. The idea for the exhibition came from Sandwick Community Council, which began planning a commemoration programme for the Iolaire back in 2013. Members’ wish list included a new path to the site and memorial, which has now been completed, research into the links between the disaster and the Point and Sandwick area and an exhibition in the community. It was strongly felt that material about the Iolaire should be exhibited in the Sandwick Community Hall as this was the public venue closest to the disaster site, being less than one mile away from the Beasts of Holm, where the vessel hit the rocks with the loss of 201 lives. After setting out their wish list, the community council began lobbying and wrote to a number of organisations and politicians. 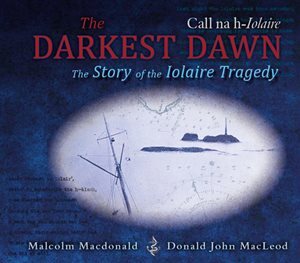 There were many positive responses, including one from the then First Minister Alex Salmond who visited the site with Stornoway Historical Society chairman Malcolm Macdonald – who was at the time working on his Iolaire book, which has now been published. 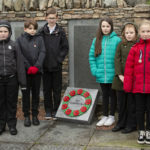 Iolaire commemorations were incorporated into the national commemoration of The Great War and the formal civic event on January 1, 2019 will be the last official event in the four-year programme. However, the community council never lost sight of its wish for an exhibition in the local area, remembering the impact it had on the villages of Sandwick. The idea was taken up by Stornoway Historical Society, who are mounting the exhibition, and has also been supported by Point Community Council and Point Historical Society. Stornoway Historical Society chair Malcolm Macdonald – who has been ‘completely overwhelmed’ lately by the interest in his book, The Darkest Dawn, said the exhibition would be ‘substantial’. 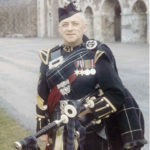 There will be images of some of the men from the book – those from the Point, Sandwick and Stornoway areas – and he said it was important to have the exhibition in Sandwick as these were the villages through which some survivors, barefoot and shocked, would have walked afterwards. He said: ‘The exhibition is being supported jointly by Point and Sandwick Community Councils and Stornoway Historical Society. These groups got together to recognise that Holm is the place where the tragedy occurred and a lot of the dead are buried in Sandwick Cemetery. Councillor Angus McCormack, chairman of the exhibition working group and a Sandwick resident himself, said: ‘Stornoway Historical Society have been absolutely excellent and very, very committed. I’m absolutely blown away by the commitment – it’s first class. ‘The foundation of it all, of course, is the book. The Darkest Dawn is a huge resource for us. All the information gathered will be put on display along with photographs and memorabilia in three of the four upstairs rooms in Sandwick Community Hall. Councillor McCormack said he was ‘delighted’ with how it was shaping up. ‘I’m really very, very pleased indeed that it’s come together in time – because we have felt, in the community, that it’s important that the community in which this dreadful tragedy took place should in some way commemorate it and this is an excellent way of doing it.